Bodewes of Carpenters Local 276 appointed to Niagara County Industrial Development Agency board. Niagara, NY According to Northeast Regional Council of Carpenters (NRCC), Local 276 team lead and council representative Daryl Bodewes has been appointed to the Niagara County Industrial Development Agency (IDA) board. Bodewes, a 33-year United Brotherhood of Carpenters and Joiners of America member, was appointed by the head of the Niagara County IDA and attended his first meeting as a board member earlier this year. 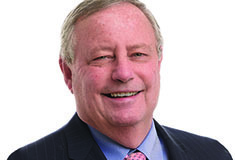 At the NRCC, Bodewes has been a council representative for 22 years and also served as his local’s team lead since 2012. Aside from his role with the Carpenters, he also serves as vice president of the Niagara Building Trades Council. Bodewes said that he feels that his positive relationship with both the Carpenters Union and the IDA will help to employ a higher number of laborers throughout the county. In Niagara County, the IDA serves to attract and develop economic growth and opportunities for the residents and businesses that reside in the area. The board, made up of nine members, works round the clock to ensure that these individuals have the best opportunities for growth by employing skilled workers.